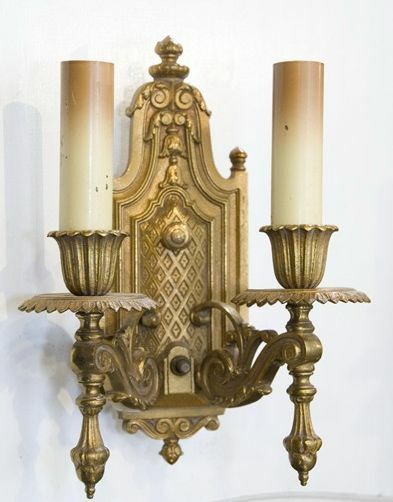 Very Fine 1920's Cast Dore' Bronze 2-Light Sconce. Backplate measures approximately 11" tall by 4" wide. Arms project 5 1/2" from wall.